London’s brand new City Concours, a world-class festival of motoring held in the heart of the City, opened its doors yesterday to a crowd of more than a thousand for the first day of the event. 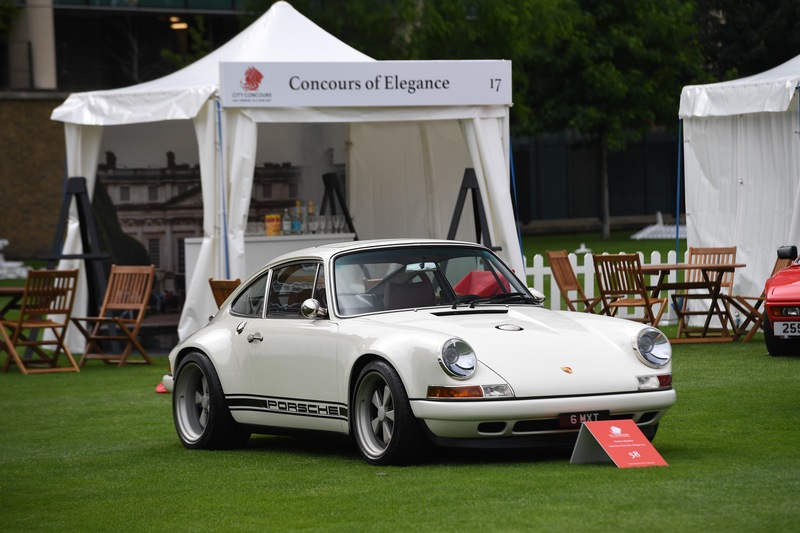 Hosted at the Honourable Artillery Company, right in the heart of the City of London, the City Concours brings together more than 110 of the world’s most incredible cars and automotive specialists. The centerpiece display, ‘Evolution of the Supercar’, charts the history and development of the very best high-performance vehicles, beginning with the 1954 Mercedes-Benz 300SL Gullwing. Moving through the wedge-design supercars of the ‘80s, including the Ferrari 288 GTO, the display finishes with a host of modern-day performance cars from the Pagani Huarya to Aston Martin Vulcan. Also on display are some of the earliest examples of motoring excellence in the ‘Pioneering Spirit’ display, and a celebration of the sports car called ‘The Joy of the Road’, featuring a Ferrari 212 Inter Vignale and Maserati 3500 GTI Vignale Spyder. A display of racing cars, including a Jaguar D-Type from the 1957 Le Mans 24 Hours race made up the ‘Built for Speed’ feature, and a host of unique and rare custom built vehicles in the ‘Modern Bespoke’ category. Some of the most famous muscle cars created, form the ‘American Muscle’ display and a special collection of motorcycles, from a 1928 Brough Superior to a 2016 Kawaski tell the ‘History of the Superbike’. Two awards were presented on the day; the evo Award for best supercar and the Octane Award for best classic car. Voted for by readers of evo and Octane respectively, the best supercar was named as the Porsche 911 Reimagined by Singer and the classic car award went to the Frazer Nash BMW 328. As well as the automotive displays, visitors are able to browse a number of attractions, including the Taittinger Champagne bar, timepiece displays from Breguet and Glashütte, and art from Freire Printz, Unique & Limited, Collier Dobson and CARisma Photo. Official Outfitter to the City Concours, Mason & Sons, will on-hand with a display of its latest clothes and accessories from a range of Great British brands.